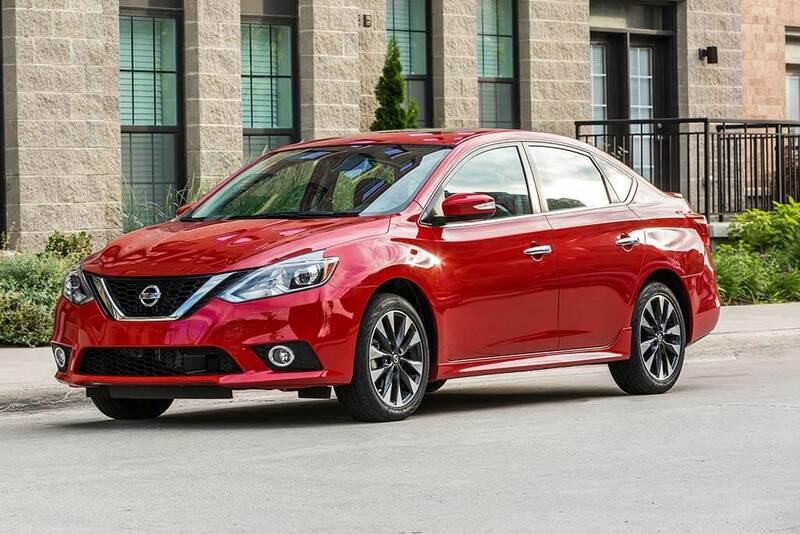 The Nissan Sentra is a classic compact car with a stylish interior and modern features. It is a reliable, practical choice for young couples, families and commuters alike. Plus, the updated 2019 Sentra has more to offer in terms of modern tech and entertainment features. It includes a modern infotainment system with a user-friendly interface and a wide range of options for entertainment, navigation, and more. The newest Sentra model on the market also offers competitive gas mileage, averaging up to 37 MPG on the highway. Unfortunately, the Nissan Sentra and other compact cars like it have experienced a rapid and significant decline in sales over the last couple of years. All over the U.S., sales of small passenger cars are on a downward trajectory while SUV and truck sales have been skyrocketing. However, many experts expect that pattern to reverse itself soon, putting compact cars on top again in 2019. The recession of 2008 devastated thousands of families across the United States, leaving far too many Americans jobless with high levels of debt and little to no savings. While there are no guarantees when it comes to the ups and downs of the U.S. economy, recent downturns in the housing market and several other factors have many Americans feeling nervous about the possibility of another recession in the near future. Those who were heavily affected by the 2008 recession are eager to avoid the mistakes and lack of preparation that left them in financial ruin when the economy took a turn for the worse more than ten years ago. For many Americans, that means making smarter choices when it comes to purchasing a new car. To avoid debt and expensive repairs, many drivers are opting to buy affordable, efficient, and reliable compact cars—rather than splurging on a costly brand new SUV—in preparation for the possibility of a recession at some point in the near future. Americans are in more debt than ever. Student loan debt and credit card debt are at an all-time high, and recent statistics show that American drivers currently owe more than a trillion dollars in car loan debt. Seeing as more than 40% of Americans who buy a car are dependent on some type of auto loan to finance that car, the shockingly high levels of car loan debt are personally affecting a huge number of drivers in the U.S.
Fortunately, buying trends seem to be shifting toward more forward-thinking, practical choices when it comes to buying a new car. In fact, many drivers are opting to purchase more affordable, reliable compact cars with price tags that won’t bury them in debt for the next decade. These changes in the buying patterns of American drivers favor compact cars over larger trucks and SUVs that tend to be less efficient and more expensive. The fluctuation of fuel prices is not a new phenomenon, but the cost of gas and predictions for the direction of future shifts in price have been particularly unstable as of late. Within 2018 alone, the average price for regular gas across the United States rose from about $2.50 up to just under $3.00 and hovered between $2.80 and $3.00 average for the last six months of the year. In areas of the country where fuel tends to be more expensive, prices rose up closer to $4.00 or even more. While Donald Trump emphatically insists that gas prices will drop significantly in 2019, experts are not as optimistic. It is true that gas prices are currently lower than they have been for several months, but no one knows for sure how oil prices will shift in the coming year. Many drivers are unwilling to risk another year of stressing out over unpredictable sharp increases in gas prices. Fortunately, modern technology and advancements in vehicle design have made it so that Americans have more options when it comes to how much control they allow fuel prices to have over their lives. Fuel efficiency has come a very long way in the past few years, and the type of car you choose to buy is one of the major deciding factors of whether you end up with a greedy gas guzzler or a conservative fuel sipper. Compact cars overwhelmingly win first prize for highest fuel efficiency overall. It’s hard to find a full-size truck or SUV with gas mileage that keeps up with the amazingly high efficiency of many modern compact cars on the market. Some of the most fuel-efficient small cars that are currently available on the market for 2019 get an average combined mileage of more than 50 MPG, with the most efficient hybrid cars averaging up to 60 MPG. Buying an extremely fuel-efficient car gives drivers peace of mind and saves them from worrying about the instability of gas prices throughout 2019.